Well, I’ve got to admit that even I didn’t see this one coming. 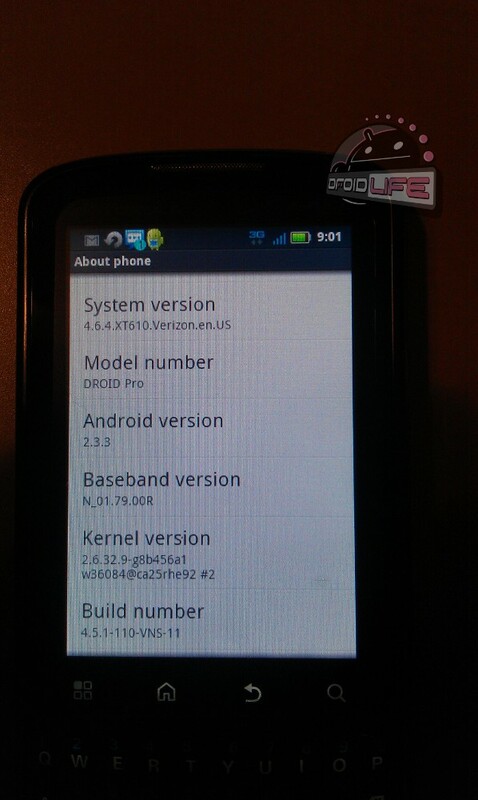 I had been hearing word that Gingerbread for the DROID2, DROID2 Global and DROID Pro were all finished, but no way did I think the Pro would see it before those other two. With the DROIDX spending the majority of the weekend receiving official Android 2.3, it seems only fitting that some of the other devices in the Moto lineup would be close behind – this just seems really close. We have no idea why two of our readers opened up their System Updates page today and had this waiting for them, but I’d suggest that all of our DP readers jump to it immediately before Moto pulls it from their servers. 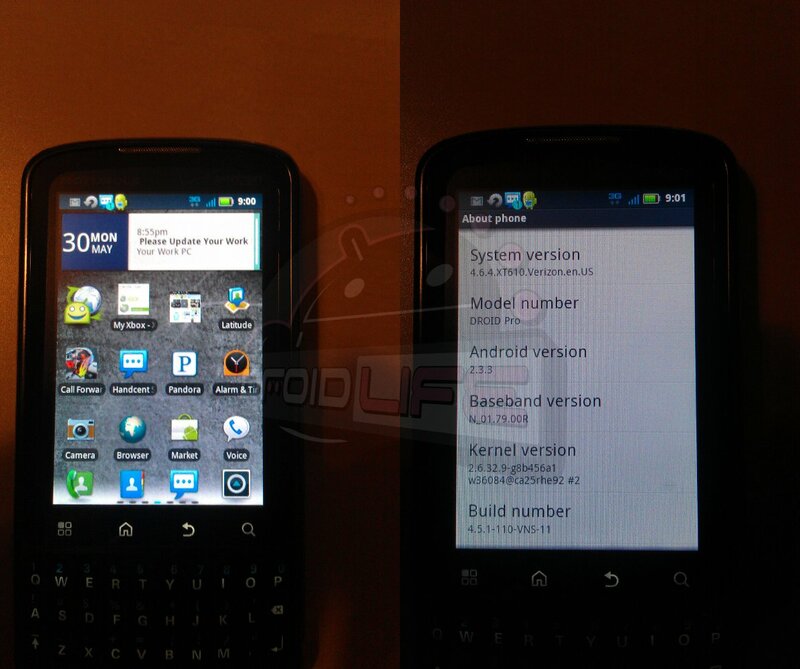 Sorry DROID2 owners, it looks like you aren’t next after all. We’ll be keeping a close eye on some specific Verizon pages though to see if we can pull up any additional info. We’re still trying to figure out if this is just a freak thing, or if Moto really meant for this to start rolling out.